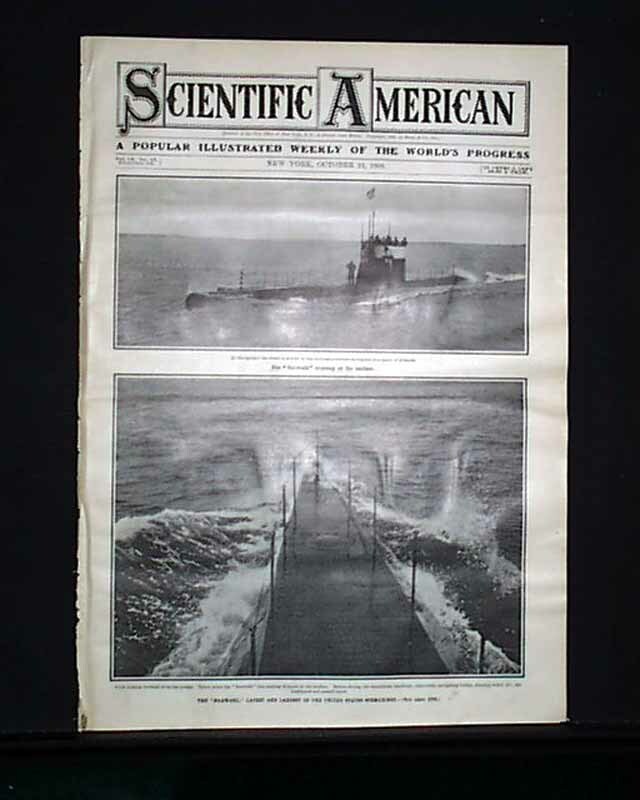 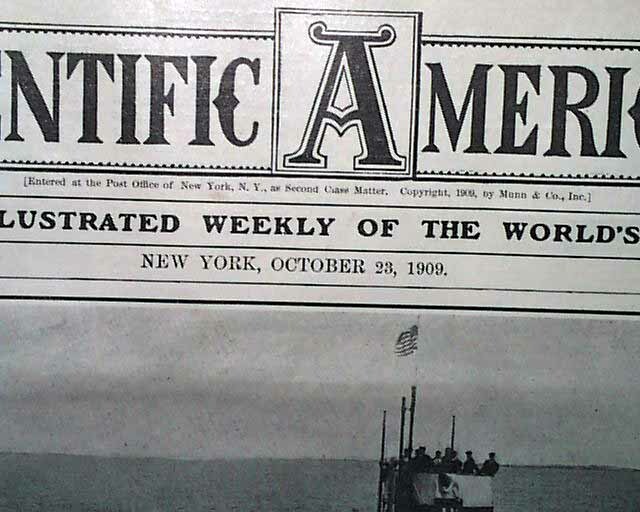 SCIENTIFIC AMERICAN, New York, October 23, 1909 The front of the issue contains two illustrations "The 'Narwahl' Cruising at the Surface" and "The 'Narwahl' Latest and Largest of the United States Submarines" with an accompanying article inside. 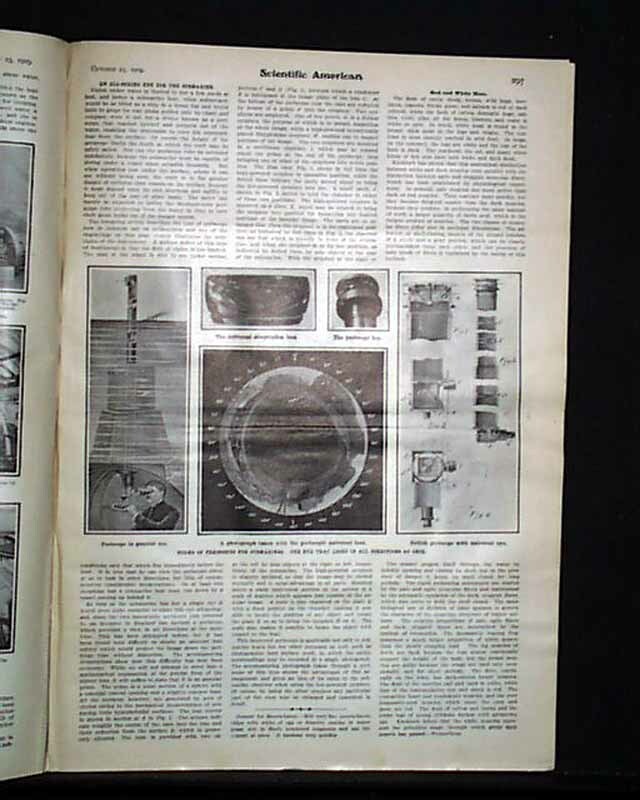 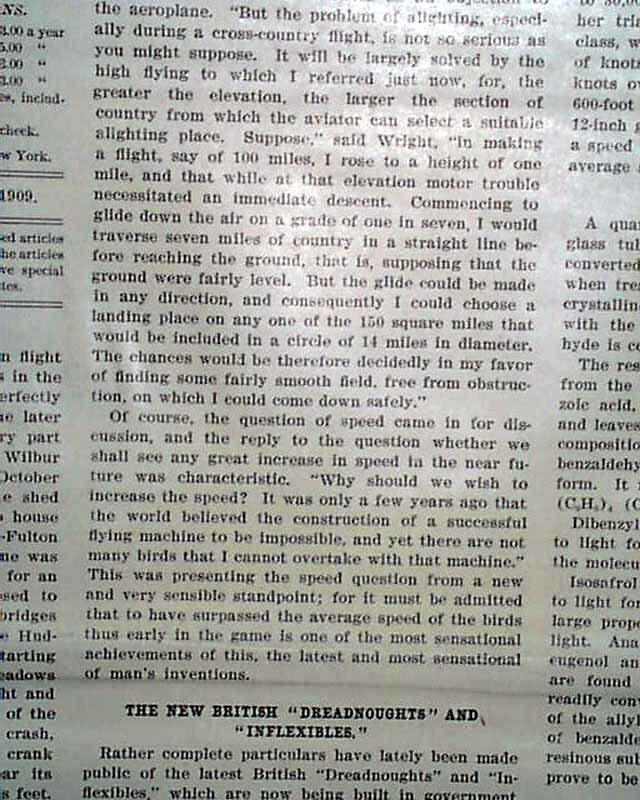 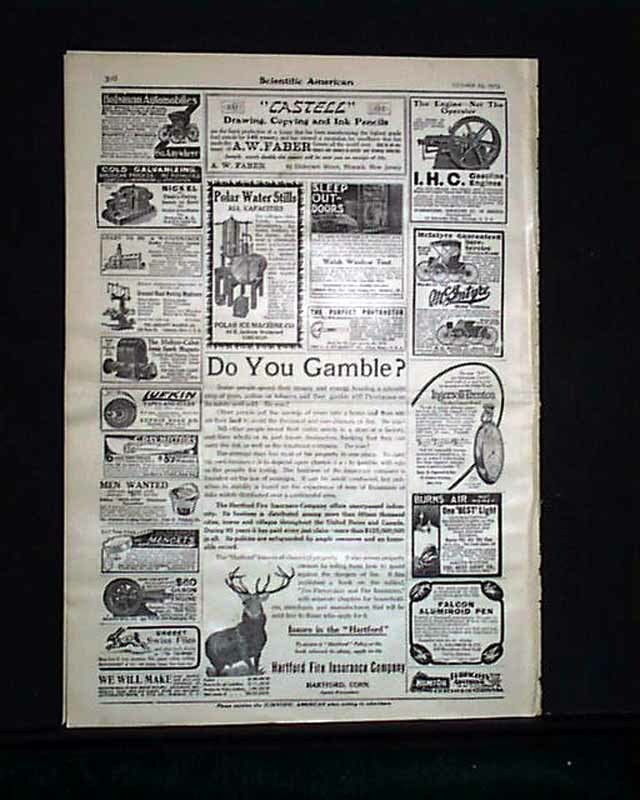 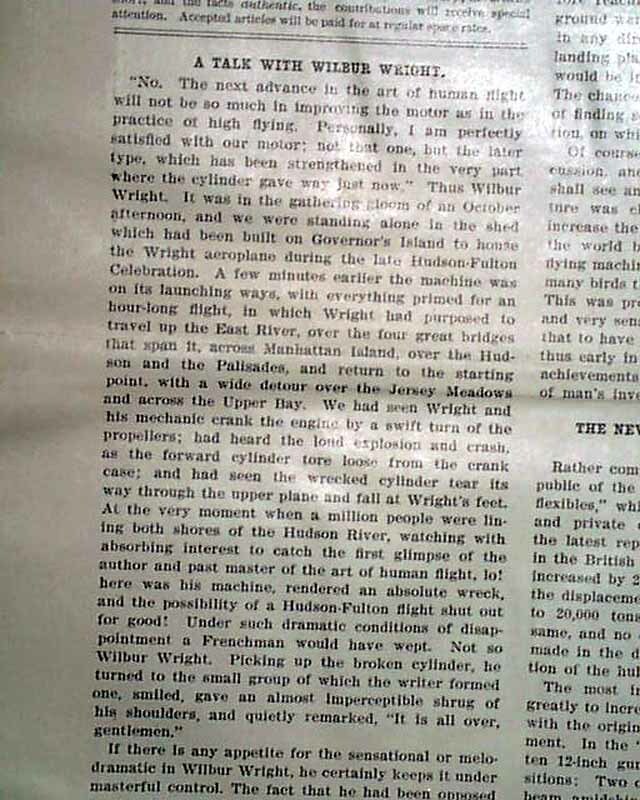 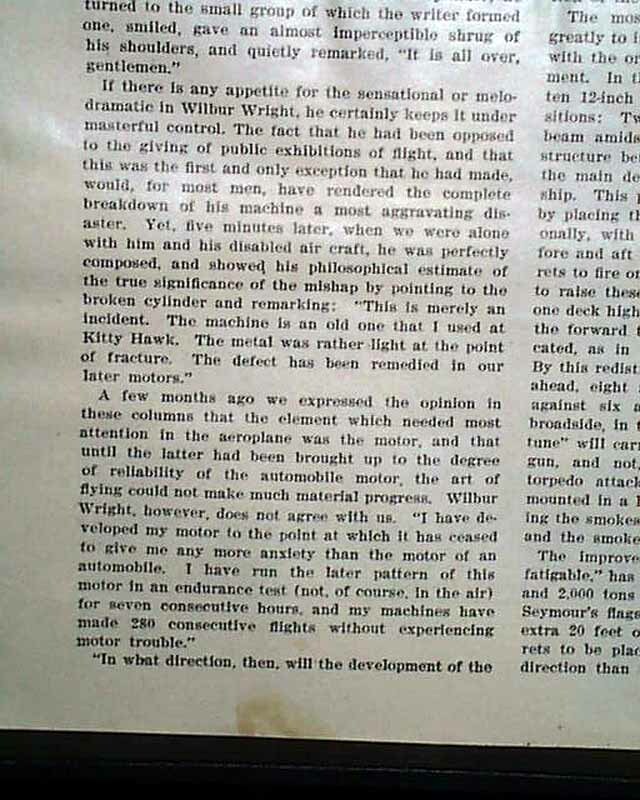 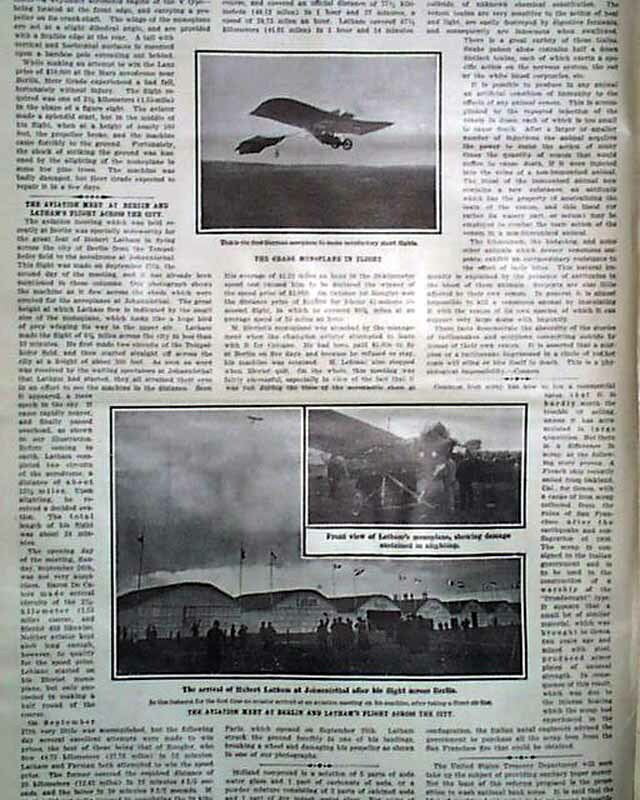 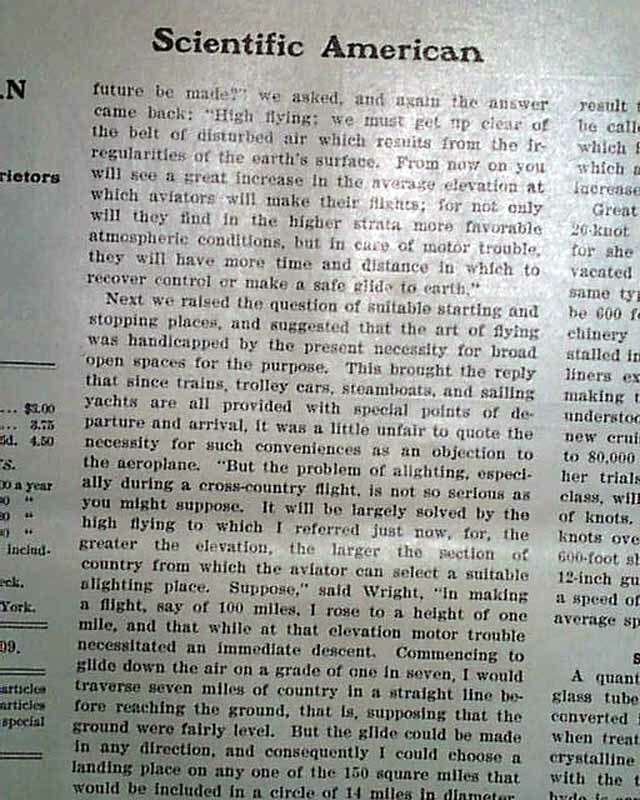 Inside the issue is a text report "A Talk with Wilbur Wright"; "The Aviation Meet at Berlin and Latham's Flight Across the City"; "A Simplified Method of Teaching Experimental Physics"; and more illustrations, articles and advertisements. 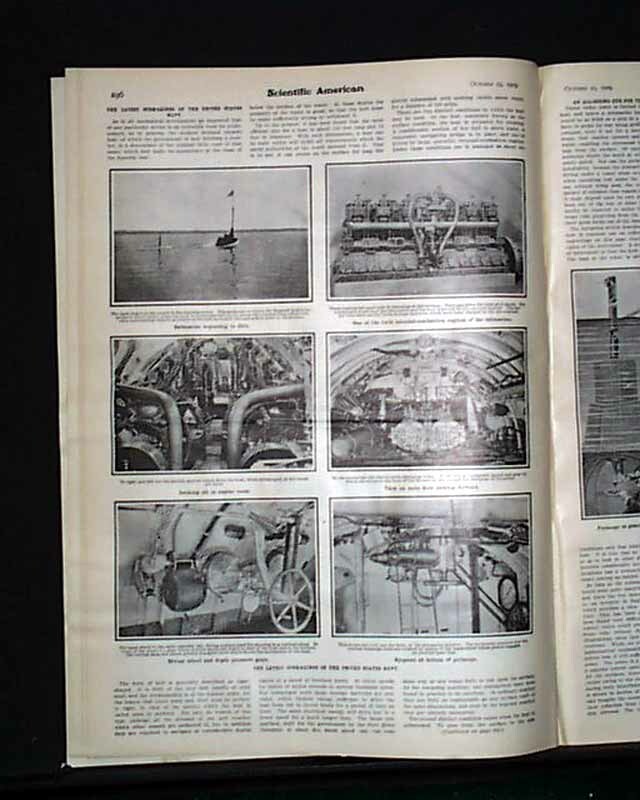 Complete in twenty pages and in very good condition.